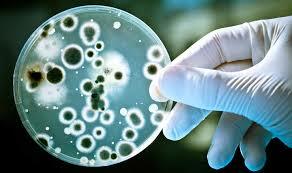 Foodborne Bacteria: Do You Know How They Grow? Food safety concerns are on all food manufacturers’ minds (and, honestly, probably in their dreams too), so it is critical to know how bacteria grow. Armed with that knowledge, we are better able to stay ahead of bacterial contamination in the food manufacturing facilities. Often, when I was in the plant environment, I would refer back to a case study put together by the Royal Society for Public Health in 2010. It laid out some excellent basics on growth factors for bacteria in a concise manner that readers of The Wide Line may appreciate. The RSPH states, “In order to grow, bacteria require a source of nutrients, an appropriate atmosphere, neutral or alkaline conditions, available moisture and an appropriate temperature. (In turn), the nutrient source needs to have available moisture, a source of energy, nitrogen, vitamins, and minerals.” A large number of bacteria are able to grow with or without oxygen. Some bacteria (obligate aerobes), will only grow if oxygen is present. Other bacteria (obligate anaerobes) will only grow in the absence of oxygen. The RSPH’s “Growth Requirements of Bacteria” section continues: “Most bacteria grow best in a neutral or alkaline environment. Bacteria do not grow well in foods which are too acidic (with a pH of less than 4.5).” So, the more acidic the food, the less likely it is to support the growth of bacteria. In addition, foods that are dried or high in salt or sugar have a reduction in available moisture content, and bacteria will grow poorly on these foods. Finally, “Most bacteria will not grow in cold conditions, or will only grow and divide slowly. High temperatures will also inhibit the growth of bacteria.” For example, most food poisoning bacteria die when exposed to a temperature of 70°C for two minutes or more. The optimum temperature range for the growth of most bacteria is 5°C to 63°C, which is known as the ‘temperature danger zone’. The RSPH concisely acknowledges that there are multiple areas in all food production facilities that need to be assessed for risk regularly, as well as monitored daily in order to prevent microbiological product contamination. All processing steps have the potential to increase the chance of microbial corruption. Nelson-Jameson carries food safety products that assist with control and surveillance in every step of the production process—from ingredient receiving through manufacturing, storage, and shipping of finished products. Contact a sales representative today to find out how Nelson-Jameson can help strengthen your food safety prevention and protocol. Icy sidewalks and driveways will be here soon. Here are some helpful tips to remember when using ice melt this winter. Whether it is in an effort to save money or time, skipping ice melt means that you are setting yourself up for slippery sidewalks, entryways and parking lots. This could be an expensive mistake for your company. Evenly spread application is essential for optimal melt. Applying ice melt using a spreader ensures even application, while scoops and shovels are most common, they can cause overuse or piling in areas. 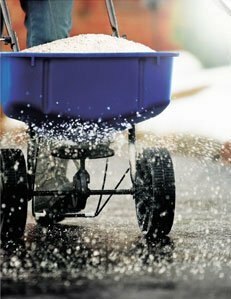 Todd Spencer, former National Sales Manager for North American Salt, is quoted saying “pre-application is ideal as an initial deterrent before the snow falls, though it is often difficult to predict necessity.” Ice melt must be applied on the ground/ice for it to be effective, not on a pile of snow. For more information on ice melt products available at Nelson-Jameson call 800-826-8302 or visit our website. Extend the life of your sanitary hoses by purchasing hose supports! Prevent exterior wear and fitting damage by using hose supports to keep hoses off the ground and next to the ends. We stock most sizes and can get other styles if you want something specific. Options include bright colors to help raise awareness and prevent tripping and adjustability to accommodate different hoses. Due to the sheer amount of pipetting that goes on commonly in a lab on a day-to-day basis, it can be easy to forget that this repetitive process may cause problematic ergonomic issues. Keep wrists straight and elbows close to the body. Share workload between right and left hands. Keep waste bins, beakers, etc. as close as possible. 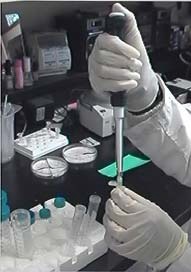 Share pipetting responsibilities with others to reduce strain. Take some breaks – at least every 15-30 minutes.